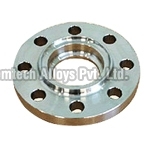 We offer the best quality Stainless Steel Flanges which are durable and are available at affordable rates. 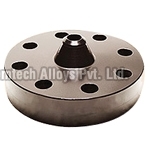 Customer satisfaction is of prime importance at Chemtech Alloys and so the supreme quality stainless steel is used for manufacturing the flanges. Flanges are available in a wide range that can be customized as per clientsâ�� requirement.We are Leading Stainless Steel Flanges Manufacturers In Mumbai. A Slip On Flange is bored slightly larger than the outer diameter of the matching pipe. The pipe slips into the flange prior to welding both inside and outside to prevent leaks. 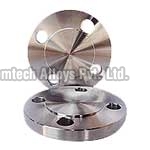 We manufacture high quality flanges keeping in view the latest technology. Weld Neck Flange is drilled with the wall thickness of the flange having the same dimensions of the matching pipe. Keeping in view industry requirements we manufacture weld neck flange with Duplex/Super Duplex stainless steel. 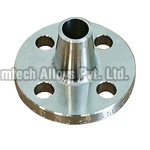 We supply stainless steel Socket Weld Flange in various specifications to meet the need of our clients. SWRF is a device that is welded to the end of pipe such that the pipe can be bolted to another pipe with a similar flange. 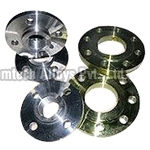 We manufacture customized Blind Flange of premium quality stainless steel. Blind flange is used for closing the end of a pipe, valves, pressure vessel openings and other channels. Lap Joint Flanges is similar to Slip-On Flanges. The distinction is it has a coiled radius at the bore and face to accommodate a lap joint end. We offer lapped joint flange in full size range and which can be used extensively at all pressures. 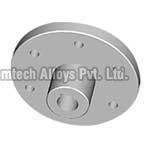 Chemtech Alloys is one of the leading manufactures of Screwed Flange that are manufactured with superior quality stainless steel, carbon steel and nickel alloy. Also provision for customized screwed flange is available for our clients. 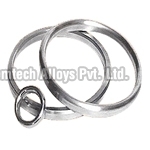 We manufacture Long Weld Neck Flange of stainless steel which is of supreme quality keeping in view industry standards. Long Weld Neck Flange is often used as a nozzle for a barrel or column. 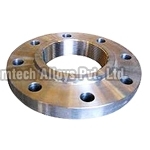 Chemtech Alloys range of Reducing Flanges is made of finest quality stainless steel. These stainless steel reducing flanges present various advantages like close tolerances, steadfastness and robustness. High quality stainless is used in the production of Spectacle Flange. Quality test is carried out to guarantee durability and reliability of the Spectacle flange as they are supplied to important industries. 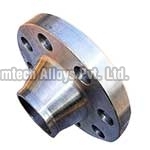 The Ring Joint Flange which is manufactured in Chemtech Alloys is in high demand due to its finest quality keeping in view national and international standards, robustness and reliability. 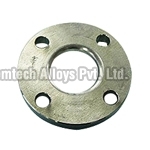 Premium quality stainless steel is used to manufacture Threaded Flange at Chemtech Alloys. 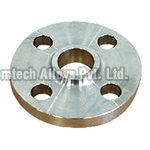 Flanges are available in various dimensions and specifications to meet the customer requirement. 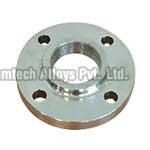 Chemtech Alloys range of Drawing Flanges is made of finest quality stainless steel. Our stainless steel drawing flanges is fit to be used in vital chemical industries.